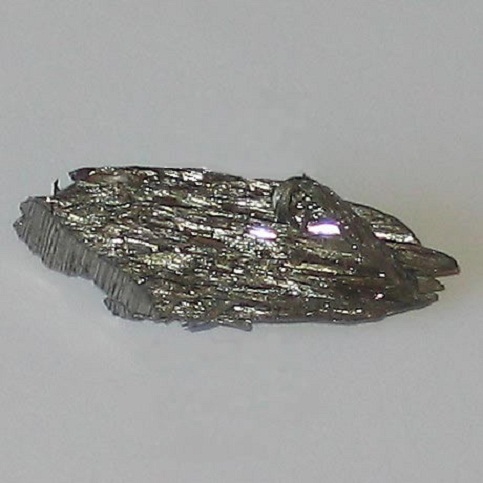 Vanadium metal is called as Vitamin of Steel. By adding vanadium to steel, it becomes much stronger and attains ability to withstand high temperatures also. That’s why Vanadium is known as Vitamin of Steel. Its chemical symbol is V. The name Vanadium was derived from the name of beautiful Goddess Vanadis of Scandinavians. Vanadium was discovered by Sweden scientist Nils Gabriel Sefstorm. He discovered it in the year 1830. But Vanadium was identified previously by a Mexican Chemical scientist named Andres Manuel Del Rio in 1801. He named it as Frankomium initially. Since it is red in color, later he changed its name as Erythronium. At last he named it as Chromium which was already discovered by then. So he did not get the fame as the discoverer of Vanadium.